The rapid growth in our economy for project managers is impressive and unrelenting. 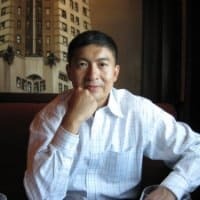 “When I (Dr. Te Wu, Founder and CEO of PMO Advisory) became a PMP in 2004, there was about 7,500 of us. Today, there are over 720,000 just 13 years later.” Project Management Institute’s study shows that the profession will continue to grow double-digits through the year 2020 and likely beyond to 15.7 million new project management roles. The economic footprint is even more spectacular, about $6 trillion dollars globally. The fuel that charges this profession is beyond any single factor such as competitive pressures, governmental regulations, technology changes, and growth and the human spirit. It is all these combined plus more. The supply of educational sources also blossomed in response to this growing demand. Professional training and higher education certificates, programs, and degrees are becoming more common. Even the governments around the world, including the United States, are jumping on the bandwagon. But is project management right for you? If you are exploring various career options, how do you know if project management is right for you? Have you considered the many opportunities and threats, skills and competencies, traits and personalities? If you are contemplating a career change into the world of project management, what should be your considerations? Can you leverage your existing set of skills and retool them for project management? Yet, until now, aspiring and practicing project managers struggle to find a relevant and timely guide on planning and developing careers in project management. This book contains five chapters discussion what, why, and how. But more importantly, it provides four “war stories” that illustrates how professionals of all levels, from entry-level to executive-level, struggle with career progression. This book is designed for project managers of all levels, from aspiring to experts. More importantly, this book embodies the firm’s commitment to social good. We published with Amazon because it gave us the maximum distribution flexibility, not only in the U.S. but also globally. It is priced at the low price of $3.99 on Amazon Kindle. This is a recording of the presentation of the PMI-NJ Chapter Symposium in May 2015. 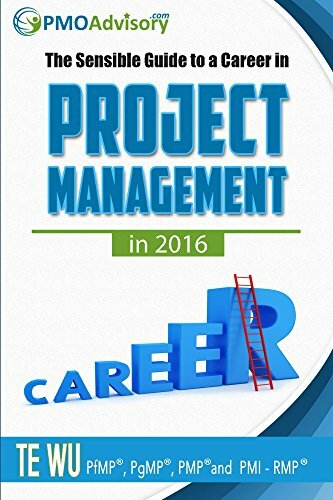 The focus of the presentation is on the book by Professor Te Wu that highlights how to develop a career in project management. The target audience ranges from the entry level students and graduates to the experienced professionals. The presentation also discusses the eight PMI certifications including CAPM, PMP, PgMP, PfMP, PMI-RMP, PMI-ACP, PMI-PBA, and PMI-SP. This course is typically a 4-hour live-virtual workshop for the public. Also it can be up to an 8-hour and classroom workshop for institutional clients. Currently, we are offering this only to our institutional customers. But if you are interested, please complete the contact form at the bottom and mention an interest in the “PM Career Workshop”. If there are sufficient interests, we will gladly schedule a public session.